Nittan’s SPERA NFU-7000-L Fire Alarm Control Panel offers modular components to meet a wide variety of applications. Designed for peer-to-peer network communications, the NFU-7000-L allows for a maximum of 63 nodes, while providing reliability, flexibility and expandability. The NFU-7000 EV protocol is based on the platform which has demonstrated its dependability in European Land and Global Marine markets. This panel is supplied with a loop driver card which is capable of supporting 2 addressable loops, of up to 254 addresses per loop and expandable up to 14 loops. 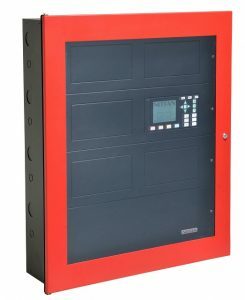 Owing to the contribution of networkability and range of addressable detectors and modules, the Panel is suitable for all site applications from small to large complex multi-area systems.